Most people spend from 30 minutes - 1 hour at the attraction. Ripley's Marvelous Mirror Maze admission. Ripley's Marvelous Mirror Maze is a test of your cunning, puzzle solving skills, and patience! Find your way through a labyrinth of twisting turns and clever dead ends and try to find the way out. Working through a maze is always an interesting challenge, but try to escape this Marvelous Mirror Maze while running into your own reflection time after time. Twisting turns and LED pathways make the corridors appear as if they go on for an eternity. Walk through the infinity room, where finding the exit seems like a distant dream! This challenging maze is a great activity for the entire family as you work together to find the exit and finally escape your many clones from the mirrored corridors. You'll love the bright colors and flashing lights as well as how easy it is to get turned around and end up at another dead end. This maze will certainly test your puzzle solving skills and patience. 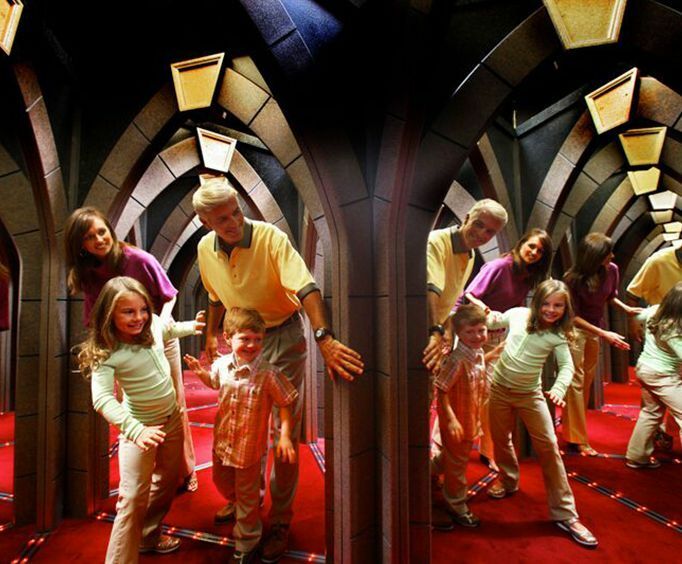 Be sure to bring your family to Ripley's Marvelous Mirror Maze, and experience the challenge for yourself! Come down from the mountains and head under the sea at the extremely popular Ripley's Aquarium of the Smokies, which features fantastic exhibits dedicated to marine life from around the world. 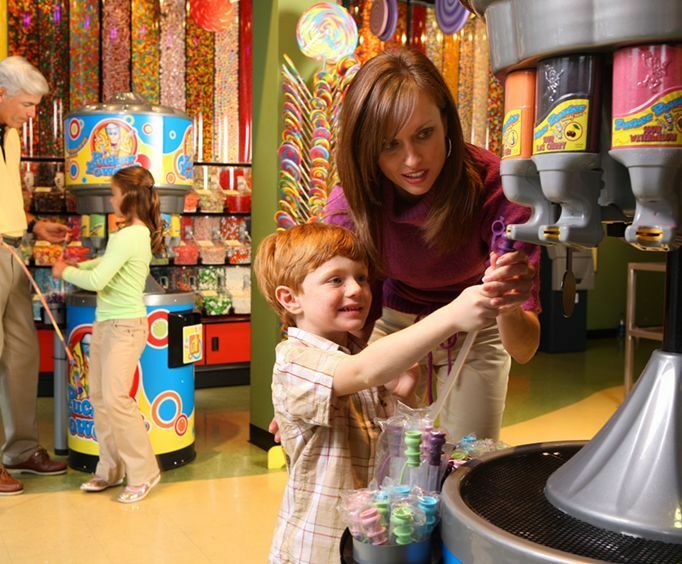 At Ripley's Aquarium of the Smokies, you'll be amazed by all the exhibits, from the reef to the rainforest! Spend some time at the Discovery Center, where you can learn about the ins and outs of underwater life in an interactive environment. Gaze in awe of giant, gaping jaws in the Shark Lagoon or see the gentle and playful creatures of the Coral Reef. What is included in the admission price for Ripley's Marvelous Mirror Maze? Admission to the mirror maze. 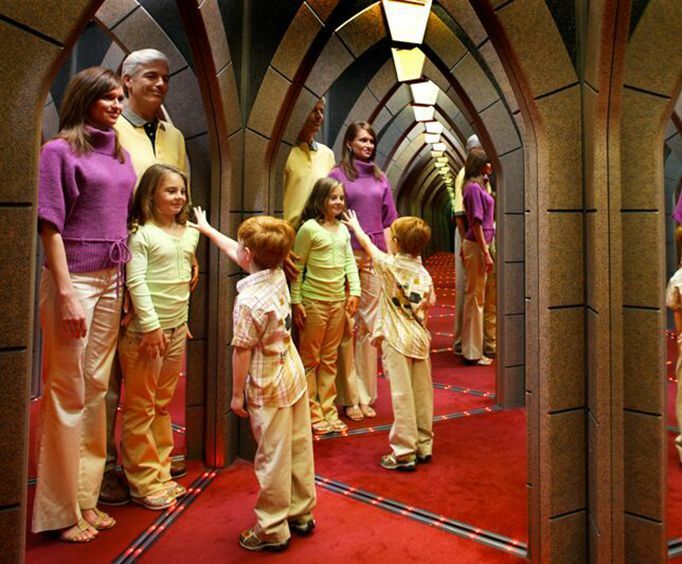 Approximately how long could a customer plan to spend at Ripley's Marvelous Mirror Maze? Guests spend approximately 30 minutes here. There are other attractions onsite. For what ages is Ripley's Marvelous Mirror Maze appropriate? Is parking available at Ripley's Marvelous Mirror Maze? Is it free? "A great place for all ages!" A great place for all ages! We absolutely loved the aquarium, this in itself is worth a trip back.